What you hold in your hands (or read on your screen) is a massive ode to the majority vote. In a world where decision-making is messy, in a year when we'll use a confusing and arcane system to pick our country's next leader, the majority vote is simple, clean and cutthroat. 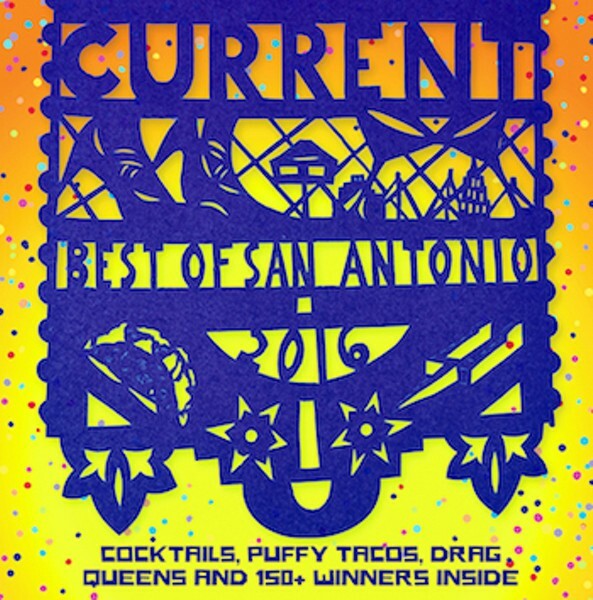 And it's how we've assembled Best of San Antonio 2016 with winners in "Around Town," "People," "Shopping," "Food & Drink," and "Nightlife." Beyond this page, you'll find the burgers, parks, politicos and bookstores that San Antonians liked most this year. There are some upsets, some old favorites and a changing of the guard or two (flip to "Best Spur" to feel both jubilantly optimistic and perhaps a tad weepily nostalgic). This book is an intrinsically collaborative effort, both in the creation of its content and its production. It would not exist without the opinions of all of you who weighed in with close to a half million votes, nor without the San Antonio Current staff's planning, fact-checking, writing, designing, editing, editing and editing. A note on our methodology: There were two rounds of voting this year — one open nomination period and then a vote on the top five nominees. To be eligible, winners had to be headquartered in Texas — a rule that paved the way for establishments such as Wingstop ("Best Wings," based in Dallas) and Half Price Books ("Best Discount Store," also from Dallas) to top their respective categories. But even though some non-SA-based businesses have carpetbagged the rankings, their victories reflect the will of the city's people (with the exception of the carefully selected critic's picks sprinkled throughout the book). And while we remind folks of that every year, there's still a steady flow of feedback along the lines of: "I can't believe the Current picked X restaurant! Have they even been to Y restaurant in my neighborhood? Dang ol' BOSA is rigged, man." We have only one response to that: vote next year. Vote early, vote often. Mobilize the click-capable masses to cast votes for Best Whatever. Tell us what you think is best about our city. Majority rules. Custom papel picado design created by San Antonio-based artist Kathleen Trenchard (cut-it-out.org).